Lace worn by Madame Elisabeth, the sister of Louis XVI. It was given to the Bishop Dupanloup in the 19th century by the only surviving child of Louis XVI and Marie Antoinette, the duchesse d’Angouleme. Empress of Brazil and yet another niece of Marie-Antoinette. Some reflections from Fr. Angelo. The Queen of Italy remembers. We are becoming a nation of separate and unequal families that threatens to last into the foreseeable future. On the one hand, well-educated women make more money. They get married, only then have their children, and raise them with their husbands. Those children are more likely to grow up to be well-adjust­ed, to do well in school, to go to college, to marry and only then have children. On the other hand, we have low-income women raising children alone who are more likely to be low-income, to drop out of school or, if they do make it to college, go to a less elite col­lege, and to become single parents themselves. From Paris Atelier. When hats were still a must but bobbed hair was considered risqué. We all want to protect our children from sorrow and harm. Since we cannot keep life from happening here is some advice on how to help our children handle adversity. In speaking with parents over the years and observing my own children’s sports and school activities, I have noticed a disturbing trend: There is a powerful reluctance to let our kids struggle or fail. Fairness is the new mantra. We worry more about our children’s self-esteem than preparing them for an independent and successful future. Everyone gets a nice trophy or certificate for simply showing up. Competition is often set aside in favor of participation where everybody is a winner. I bet you have noticed this as well. With all the misplaced emphasis on Marie-Antoinette's friendship with Count Fersen, it is forgotten that the Queen had many male friends in whom she confided and with whom she corresponded over the years. Then as now, there were people who insisted on seeing impropriety where none existed. One of Marie-Antoinette's most cultured, charming and cosmopolitan friends was indubitably Prince Charles-Joseph de Ligne, from the country now known as Belgium, once a province of the Habsburg empire. The Prince de Ligne had fought in the Seven Years' War on the Austrian side and later became a Field Marshal of the Empire. He was an intimate friend and distant relative of the Habsburg family, especially Emperor Joseph II. The Prince and his wife were the parents of seven children and immensely wealthy. They had vast estates in the Brabant, including marvelous gardens at Bel Oeil. The Prince knew a great deal about horticulture and was able to advise Marie-Antoinette when she was planning her gardens at Petit Trianon. Of Marie-Antoinette, whom he knew quite well, he said: "Her pretended gallantry was never any more than a very deep friendship for one or two individuals, and the ordinary coquetry of a woman, or a queen, trying to please everyone." As for the queen, the radiance of her presence harmed her. The jealousy of the women whom she crushed by the beauty of her complexion and the carriage of her head, ever seeking to harm her as a woman, harmed her also as a queen. Fredegonde and Brunehaut, Catherine and Marie de' Medici, Anne and Theresa of Austria never laughed; Marie Antoinette when she was fifteen laughed much; therefore she was declared "satirical." She defended herself against the intrigues of two parties, each of whom wanted to give her a lover; on which they declared her "inimical to Frenchmen;" and all the more because she was friendly with foreigners, from whom she had neither traps nor importunity to fear. An unfortunate dispute about a visit between her brother the Elector of Cologne and the princes of the blood, of which she was wholly ignorant, offended the etiquette of the Court, which then called her "proud." She dines with one friend, and sometimes goes to see another friend, after supper, and they say she is "familiar." That is not what the few persons who lived in her familiarity would say. Her delicate, sure sense of the becoming awed them as much as her majesty. It was as impossible to forget it as it was to forget one's self. She is sensible of the friendship of certain persons who are the most devoted to her; then she is declared to be "amorous" of them. Sometimes she requires too much for their families; then she is "unreasonable." She gives little fetes, and works herself at her Trianon: that is called "bourgeoise." She buys Saint-Cloud for the health of her children and to take them from the malaria of Versailles: they pronounce her "extravagant." Her promenades in the evening on the terrace, or on horseback in the Bois de Boulogne, or sometimes on foot round the music in the Orangery "seem suspicious." Her most innocent pleasures are thought criminal; her general loving-kindness is " coquettish." She fears to win at cards, at which she is compelled to play, and they say she " wastes the money of the State." She laughed and sang and danced until she was twentyfive years old: they declared her *' frivolous." The affairs of the kingdom became embroiled, the spirit of party arose and divided society; she would take no side, and they called her "ungrateful." She no longer amused herself; she foresaw misfortunes: they declared her "intriguing." She dropped certain little requests or recommendations she had made to the king or the ministers as soon as she feared they were troublesome, and then she was "fickle." With so many crimes to her charge, and all so well-proved, did she not deserve her misfortunes? But I see I have forgotten the greatest. The queen, who was almost a prisoner of State in her chateau of Versailles, took the liberty sometimes to go on foot, followed by a servant, through one of the galleries, to the apartments of Mme. 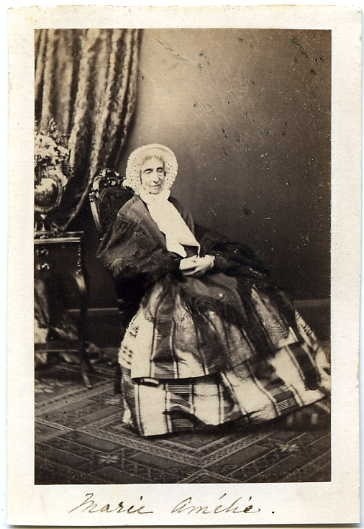 de Lamballe or Mme. de Polignac. How shocking a scandal! The late queen was always carried in a sedan-chair to see her cousin, Mme. 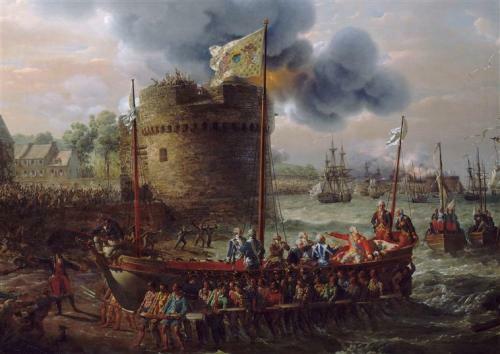 de Talmont, where she found a rather bad company of Polish relations, who claimed to be Leczinskis. Who could see her, day after day, without adoring her? 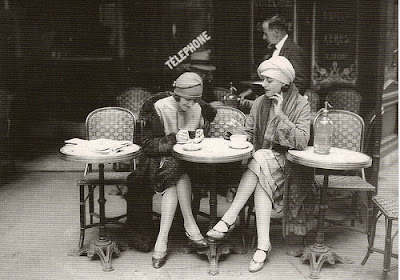 I did not feel it fully until she said to me: "My mother thinks it wrong that you should be so long at Versailles. Go and spend a little time with your command, and write letters to Vienna to let them know you are there, and then come back here." That kindness, that delicacy, but more than all the thought that I must spend two weeks away from her, brought the tears to my eyes, which her pretty heedlessness of those early days, keeping her a hundred leagues away from gallantry, prevented her from seeing. As I never have believed in passions that are not reciprocal, two weeks cured me of what I here avow to myself for the first time, and would never avow to others in my lifetime for fear of being laughed at. The Prince de Ligne's refusal to help the Belgians rebel against the Empire led to the loss of his estates in his native land. 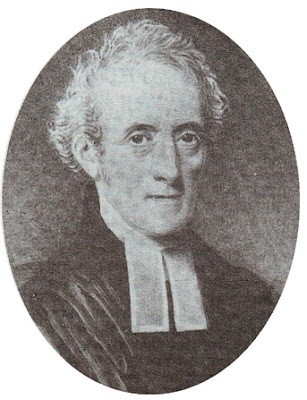 He died in Austria in 1814. An article on stately homes in England where people go for vacation. One of the homes mentioned is Hartwell House, which is known to readers of the novel Madame Royale. Jamukha: I want to ask you: All Mongols fear the thunder... but not you? Temudjin: I had no place to hide from the thunder... so I wasn't afraid anymore. "Mongol" has a classic tagline - "Greatness comes to those who take it" - that's right on the money for a sweeping, old-school epic. 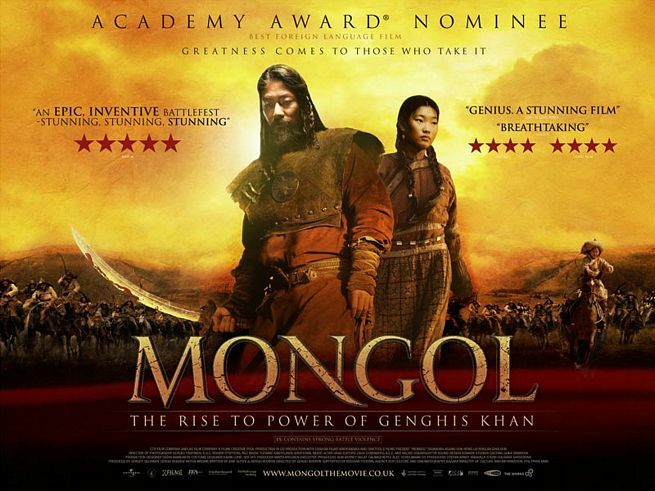 In recounting the early life of Genghis Khan, this outsized film offers everything you would want from an imposing historical drama: furious battles between mass armies, unquenchable love between husband and wife, blood brothers who become deadly enemies, and many episodes of betrayal and treachery among the warring tribes of the Central Asian steppes. This is a large-scale production of the David Lean school, but nudged in an art-house direction by Russian filmmaker Sergei Bodrov ("Prisoner of the Mountains"). There are plenty of haunting landscapes, gorgeously photographed by Sergei Trofimov on location in China, Kazakhstan and Mongolia, along with the sort of warfare scenes that define epics, but also an unexpected take on one of history's most fearsome leaders. The man who becomes Genghis Khan isn't exactly portrayed as a humanist or an egalitarian, but as a leader who was unusually fair-minded and generous for his day. Mr. Bodrov is the Russian filmmaker best known to American audiences for the superb 1997 drama "Prisoner of the Mountain." The adult Temudgin is played -- with remarkable intensity -- by the Japanese actor Tadanobu Asano. Honglei Sun, who's Chinese, is the hero's blood brother and mortal enemy, the mercurial, funny and frightening Jamukha. Temudgin's wife, a beautiful woman named Borte, is played by the movie's only Mongolian star, Khulan Chuluunn, and it's her first time in front of a camera. She's a great argument for native talent, and against acting classes. I don't know the Mongolian word for panache, but "Mongol's" got plenty of it. The battle scenes are as notable for their clarity as their intensity; we can follow the strategies, get a sense of who's losing and who's winning. The physical production is sumptuous. (The film was shot by Sergey Trofimov, who is Russian, and Rogier Stoffers, who is Dutch.) And through all of Temudgin's extravagant trials and hard-won triumphs, there's a sense of a singular child serving as father to a powerful man whose power flows from his instinctive devotion to justice, and to his wife. It's an austere epic that turns the stuff of pulp adventure into a persuasive take on ancient history. The scenery in Mongol is breathtaking; filmed on location, the movie provides a glimpse into the Mongol psyche by showing their land with all its vast magnificence. The costumes, acting, and battle scenes are authentic, making us feel that we are there, although riding around with the Mongol tribes is not the most comfortable idea. However, the film allows one to comprehend how only a larger than life character like Temudgin could tame the untameable. The early scenes in which the child Temudgin rides by his father's side, imitating him and gleaning constant instruction from him, display not only the basis for the protagonist's formation and his later ability to survive, but also provide a look at how in traditional societies the upbringing of the children is a constant hands-on occupation of the parents rather than a sideline. A London designer helps women to be ladies. A fashion designer is teaching young women how to dress with purity after her brother’s death made her rethink her career, writes Estefania Aguirre. Helena Machin, who works with high-profile clients for a famous milliners in London which cannot be named for privacy reasons, is offering style masterclasses for women, teaching them how to dress attractively and modestly. “I want to invest some time and love into the next generation,” said the 30-year-old. About the same time Helena discovered Opus Dei. Turning 30 this Christmas made her realise that whatever time she had left, she had to be doing something worthwhile. She questioned whether working in fashion was the right thing to be doing. But God soon taught her, through the example of St Josemaría Escrivá, to make holy her every day work, however trivial it might sometimes seem. In a talk she gave recently to a group of young women she explained the different body shapes and gave tips on how to best dress according to that shape. Helena is starting a series of projects, one of which includes an intensive short course she will be giving at Easter at the Baytree Centre in London for 14- to 18-year-olds. She will also be giving lectures in schools and in university chaplaincies. Author Susan Higginbotham explores the truth of the matter. ...The letter in question is very questionable, historically. It was supposedly found in the Archives of Stafsfund by Lucien Maury, who claimed that he had found an extract of a letter from the queen to Fersen which had been looked over, and had it published in the Revue Bleue in 1907. 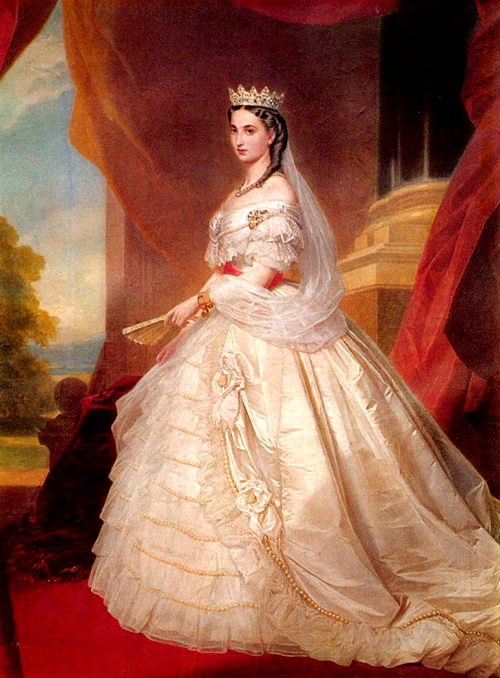 The letter, however, was not in Marie Antoinette’s handwriting, and it was only in the cipher that the queen used. It’s not known for certain whose handwriting the letter is in, although it does not match the queen’s. Which leaves us with a few possibilities, ignoring the context of the letter for now: That an unknown woman got ahold of the Queen’s cipher and wrote this note to Fersen; that Marie Antoinette had the letter dictated for her; that Fersen translated a letter from someone into Marie Antoinette’s cipher; that someone in the 19th century penned the letter and slipped it in with Fersen’s papers. It’s possible that someone working closely with Fersen would have had access to her cipher and could have penned the note. Mme de Saint-Priest, the wife of the King’s minister, who knew of Fersen’s work to save the royal family, could have obtained her cipher. 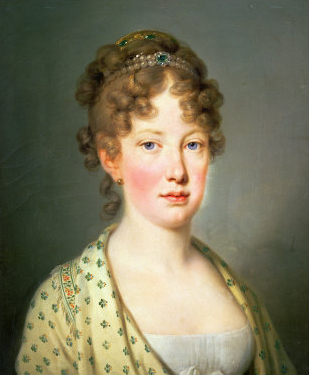 Several of her letters to Fersen around June 1791 contain similar phrases to those included in the “love letter,” including an indication that she had not heard from Fersen in some time, that she was devoted to him and wanted him to write, etc. Marie Antoinette having the letter dictated is almost certainly out of the question, since she would have to trust another person with her correspondence during the oppressive time period after the family’s failed flight. Fersen could have translated a letter back into the queen’s cipher, regardless of who sent it, but it begs the question of why Fersen would copy out a letter in the Queen’s cipher [regardless of who wrote it] instead of the other way around. The last possibility isn’t out of the question, considering the contention around Marie Antoinette’s reputation that went back to the 1770s. It’s also important to look at the credibility of the person who supposedly discovered the letter. 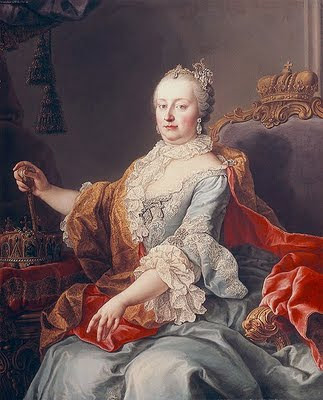 He referred to the Baron de Klinckowstrom, who published the first lengthy edition of Fersen’s correspondence with Marie Antoinette and others, snidely as someone who was a “defender of the Queen’s memory” — that is, that he must be covering something up in order to defend her reputation. Maury also attributed the letter to September 1791, although Mlle Soderhjelm (who essentially started the theory that Fersen is referring to Marie Antoinette when he speaks of a woman he is in love with in letters to his sister) places it being received by Fersen on July 4, 1791. In either case, when you compare this letter to authenticated letters written by Marie Antoinette in Fersen either to the end of June or in September, the contents don’t match up. In the “love letter,” the writer knows where Fersen is, but not to who she should send the letters to him, and begs for him to write her. But on June 29th, 1791 in an authenticated letter, Marie Antoinette asks Fersen not to write to her and says she cannot write him again for some time. Then, in another authenticated letter on September 26th to Fersen, Marie Antoinette acknowledges that she had received a letter from him (which presumably gave the queen an address) but has not known his whereabouts for the past two months. The writer of the “love letter” knew where Fersen was, but did not know who she should send letters to, asked him to write in cipher, and had a more complicated method of exchanging correspondence with him. Marie Antoinette admits she did not know where he was, but she knew where to send the letter in Brussels without complication, and would not need to tell Fersen to whom to send the letters because they had been corresponding for some time. 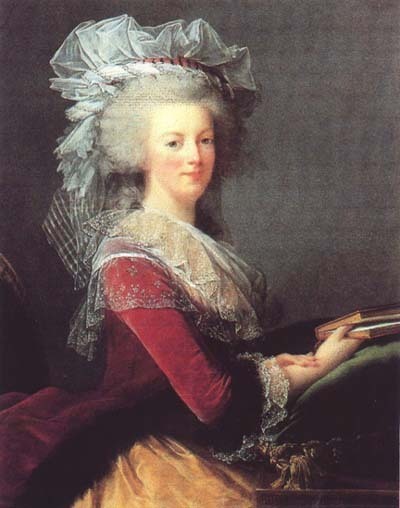 Marie Antoinette and Fersen’s correspondence had long made use of cipher, so why include this in a letter? Whether the letter is dated June or September, it is at odds with the information we have from letters which were more thoroughly authenticated. Unlike the “love letter,” which was once published with an editorial column that not only gave the year 1792 for the letters but boldly stated that Madame Campan sewed a disguise for Fersen while he was making love with the queen! I would just like to add that Marie-Antoinette being a Catholic martyr has nothing to do with whether or not she had an affair with Count Fersen. Since genuine martyrdom wipes away all past sins then if the Queen did truly die a martyr's death her martyrdom would blot out past offenses. An extramarital affair may keep one from being officially beatified but there are many whose martyrdom is known only to God. However, those of us who do not believe the Queen and Fersen were lovers do so not because we are trying to prove she was a martyr; we do so because of the evidence and lack thereof. I have written of this same topic at length, here and here. 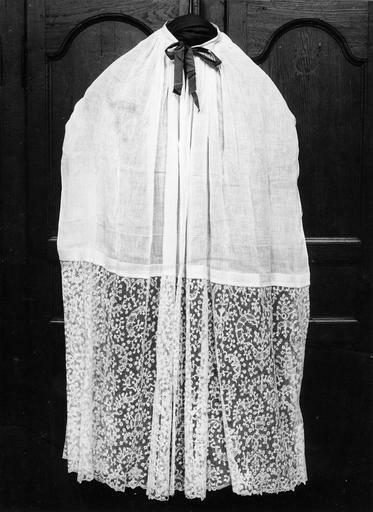 From the Book of Lismore: "For humility Brigit stayed so that she might be the last to whom a veil should be given. A fiery pillar rose from her head to the roof-ridge of the church. Then said Bishop Mél: “Come, O holy Brigit, that a veil may be sained on thy head before the other virgins.” It came to pass then, through the grace of the Holy Ghost, that the form of ordaining a bishop was read over Brigit. Mac-caille said, that a bishop’s order should not be conferred on a woman. Said Bishop Mél: “No power have I in this matter. That dignity hath been given by God unto Brigit, beyond every (other) woman.” Wherefore the men of Ireland from that time to this give episcopal honour to Brigit’s successor." The abbesses of Kildare apparently retained this episcopal honour until a reforming Synod in 1152. With such curious privileges around one can see why twelfth century Popes both before and after Strongbow and King Henry II were interested in reforming the Irish church. We are not required to believe everything in an early saint's life. I suspect this story may originate in attempt to explain the particular traditional privileges of the abbess of Kildare, perhaps originating with the Celtic ( a dangerously overused term these days in respect of spiritual matters) tradition of a monastically led church, with the bishop less important than the abbot or abbess, and, I wonder, possibly in local land tenure customs and claims. Of Henry VIII’s three nieces—Margaret, Countess of Lennox, Frances, Duchess of Suffolk, and Eleanor, Countess of Cumberland, the last was the shortest-lived and probably the least known. Eleanor was the younger daughter of Charles Brandon, Duke of Suffolk, and his wife Mary, known as the French Queen because of her previous marriage to Louis XII. The Romance of the Middle Ages celebrates the stories of medieval romance and how they have influenced our culture, literature and art over the last thousand years. It includes the dramatic love stories about King Arthur and Tristan and Isolde as they are illustrated in sumptuous medieval manuscripts, alongside works of art and draft papers by J.R.R. Tolkien, Philip Pullman and Monty Python, the last on public display for first time. The exhibition draws on the Bodleian’s outstanding collection of manuscripts and early printed books containing medieval romances. These range from lavishly-illustrated volumes to personal notebooks and fragments only saved by chance. Alongside these will be works of art from across Europe that illustrate romance legends; these include ivory carvings, jewellery and caskets, on loan from national museums and collections. EMV: Nancy, welcome to Tea at Trianon! Congratulations on your magnificent novel, The Crown, which I thoroughly enjoyed. I was especially impressed by the research that went into making it one of the most authentic novels of the Tudor era that I have ever read. You bring to life the beauty and peace of the cloister even as it is about to be destroyed. Can you tell us a little about how you began your journey into the past, and where you found the best sources on such a turbulent, controversial epoch? NB: It was a financial imperative. The country was approaching bankruptcy. The land grab of the monasteries—that is what it was—poured more than a million pounds into the royal treasury. The King and Cromwell assured people that hospitals and schools would replace the abbeys and monasteries that were emptied and often destroyed but that rarely happened. The money went to building new palaces and to war, mostly. Also the property was turned over to courtiers so that they would be more bound to the king than ever. There are social problems in the late 16th century that some historians attribute to the loss of the safety net provided by the Catholic orders. And there were other sorts of losses. For example, at Dartford Priory the sisters educated the girls from local families. After the priory was destroyed, no one else taught the Dartford girls to read in an organized way for many, many years—centuries, actually. A grammar school was formed in the town in 1576, but that was just for the boys. Cromwell was also someone who supported Martin Luther’s ideas and so he had that motivation. Henry VIII had an extremely complicated and ambivalent attitude toward the monastic orders. He tried in the beginning to personally persuade some of the leading friars—the men who became the Carthusian martyrs—to see the divorce from his point of view and agree to support him as head of the Church of England. But when they repeatedly refused, they were starved, tortured and then killed in the most painful way possible. Henry himself did not ever support Luther and many times tugged the religion of his country back. One of the other reasons besides need for money that Henry VIII pushed through the Dissolution of the Monasteries was that he did not want hotbeds of educated men and women loyal to the Pope thriving in his country. There was monastic support for Pilgrimage of Grace, and that strengthened his resolve to crush the abbeys. Once they were turned out from their homes and could not wear their habits or practice their faith in the same way, friars, monks and nuns were no threat. EMV: Thank you very much, Nancy, and I can’t wait to read more of Joanna’s adventures in the sequel! Pregnancy is how a woman’s body is supposed to work. It’s the way we’re made. Birth control works against that, by preventing or altering the body’s normal processes. In classifying contraception as “preventative”, the United States government has deemed the healthy functioning of women’s healthy bodies as defective, and in need of government-provided intervention to alter. 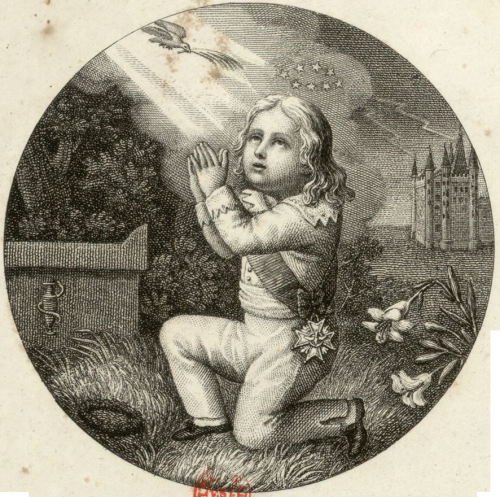 Historically, Romanticism was born in the hearts and minds of the resistance to Napoleon --- even though many Romantics initially embraced him as a hero figure, akin to Charlemagne. His attempt to do for Europe what his predecessors tried to do to each of their countries aroused the fires of nationalism in their breast --- German, Italian, English --- and even French. The brutality of Napoleon’s police and censors drove “subversive” writers deep within their souls; his total control of Europe led minds to wander elsewhere, beyond the Continent. Prioress Eleanor of Tyndal of the Order of Fontevraud and her companion arrive at a castle on the English coast to help a family in crisis. Not only has the lord of the castle, Baron Herbert, forsaken his wife’s bed, but one by one their grown sons are dying under suspicious circumstances. Is it murder, or has the Devil taken possession of them? With the help of Brother Thomas, Sister Anne and Gamel the physician, Eleanor and her brother Sir Hugh seek to unravel the secrets which plague the family. In this thirteenth century thriller, there is much to be learned about medieval medicine, which was not as backward as is commonly thought. There is a great deal of medieval piety as well, with a strong emphasis on Satan, which makes the story quite dark at times, although Prioress Eleanor always lends balance and good sense to the narrative. The characters are quite true to their era in outlook and behavior; no anachronisms are to be found. They are all involved in their own personal struggles and come to greater self-knowledge by the end of the story, although as in real life it is made clear that each soul is a work in progress. The nature of marital love is explored as well as the commitment of the religious life, each vocation having its joys and challenges. The beauty of true friendship, as people in the Middle Ages understood it, shines through all the storms which surround the beleaguered castle, replacing an old curse with a new blessing. I highly recommend A Killing Season for those who love both mysteries and medieval tales. 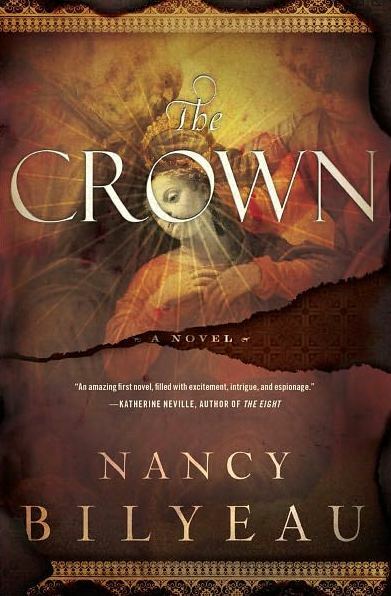 This review originally appeared in the February 2012 edition of the Historical Novels Review. Professor of Military Theory James Schneider examines the leadership genius of T. E. Lawrence, known to history as “Lawrence of Arabia.” Schneider demonstrates how the lessons learned and taught by Lawrence in the Middle East could have prevented many modern military disasters had they been heeded. Lawrence’s success in the Middle East was rooted in his leadership abilities. A fearless, intelligent leader can make a world of difference, as Lawrence demonstrated. Schneider traces Lawrence’s growth as a leader from the beginning of his military involvement until his death in 1935. Lawrence was not a trained soldier but as a scholar. After a youth spent in traveling and learning languages Lawrence joined the British army at the beginning on the First World War and because of his mastery of Arabic and Middle Eastern geography was given espionage work on the Turkish front. His study of the Arab culture enabled him to win the confidence of that tribal people and he led them to victory after victory against their Turkish oppressors, changing the course of the war. Lawrence’s ideal was not to annihilate the enemy but rather pester them through guerilla attacks. It was only when Lawrence violated his own high code of honor that his emotional deterioration led to the end of his glorious career. Schneider gives the reader detailed descriptions of Lawrence’s military encounters as well as showing the inner turmoil and reflections of the man of conscience and principle that Lawrence was. “Lawrence’s intense psychological struggle in the desert brought him to a profound moral conversion that would lead ultimately to his personal redemption….Yet today the world waits in vain for Lawrence’s vision of peace in the Middle East.” (p.307) Guerrilla Leader is highly recommended for serious students of the Middle East and of military history.